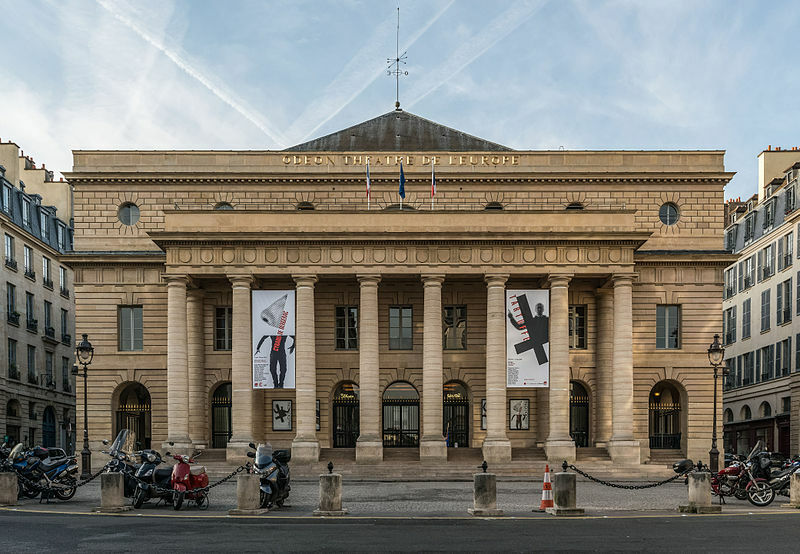 Just outside le Jardin du Luxembourg is one of Paris’ grand old theaters, Odéon-Théâtre de l'Europe. With its neo-classical façade and soaring gilt and red velvet interior, the Odéon, which first opened in 1819, is a wonderful place for theater—from classical repertory to contemporary productions. Growing up in Paris’ Rive Gauche, I enjoyed many performances at the Odéon, and my friends and I would often meet and walk through the nearby Luxembourg Gardens or along the streets of Saint-German-des-Prés, which is the very heart of the city. When I began making leather handbags, my life in Paris inspired many of the designs. I created the Odéon as a simple leather clutch with many uses. In glamorous silver cow fur, it’s perfect for a night at the theater, a place to tuck away lipstick, a phone—even a pair of antique opera glasses. For a quick coffee with friends, a smaller version in Longhorn cow fur is light and holds the essentials. The envelope design is versatile, a smaller bag for short errands or an elegant place to store special items in a larger tote.